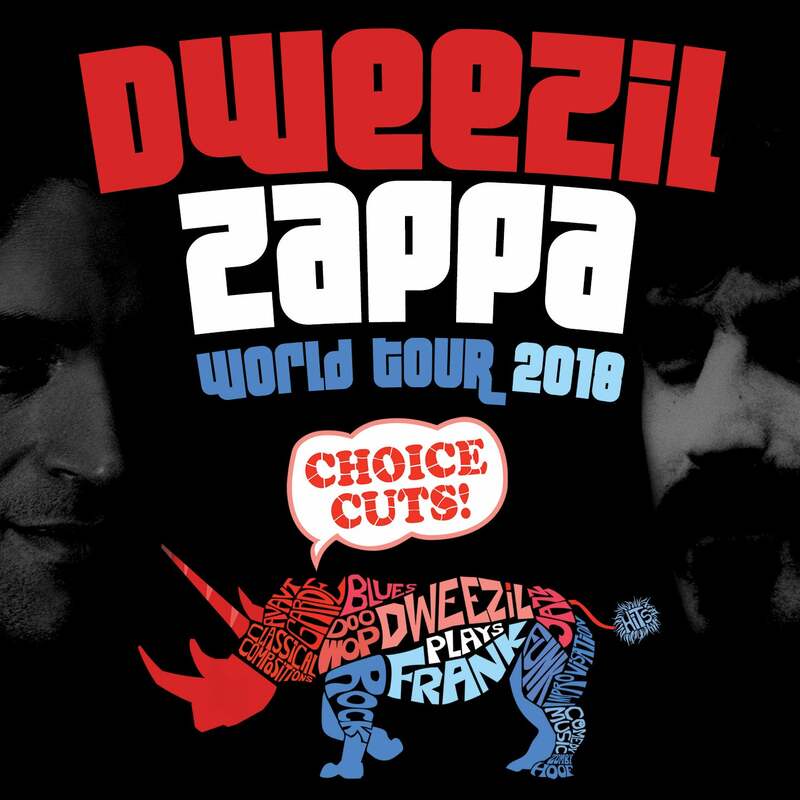 Dweezil Zappa's "Choice Cuts" tour has been curated by Dweezil for an all-new show filled with some of rock legend Frank Zappa's boldest compositions. Dweezil calls them "a collection of the meatiest tracks," which with he plans to satiate the appetite of Zappa fans old and new. Dweezil Zappa grew up listening to the music his famous father was working on or listening to, but soon found himself transfixed by the influences of the Beatles, Queen, The Who and Jimi Hendrix. And like many aspiring guitarists of his generation, Dweezil's ear was caught in a stranglehold by the trailblazing guitar styles of Edward Van Halen and Randy Rhoads. Dweezil's most recent album release (2018) is "Live In The Moment II," a guitar solo compilation record in the style of his father's "Shut Up And Play Yer Guitar" discs. Live solos interspersed with studio tracks and interstitial palette cleansers. VIP Soundcheck Party purchase options are available for these performances. Purchasers will be invited to an exclusive soundcheck performance prior to the show and will receive a commemorative poster from the concert.